Walmart has the Crate Creatures Surprise Big Blowout - Croak with “Lockie Talkie” on sale for just $19.97 (regularly $79.99). Your new beast friend is bigger, grosser and more fun than ever! Unbox your Crate Creatures Surprise! 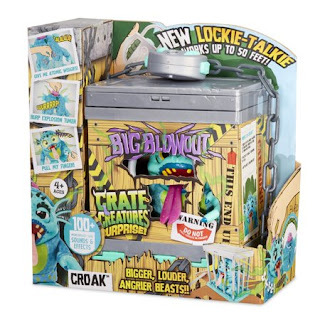 Big Blowout- Croak, pull his tongue and finger for gross sounds, and use the walkie talkie lock to transmit your monster voice through your Creature! Love the walkie talking feature.